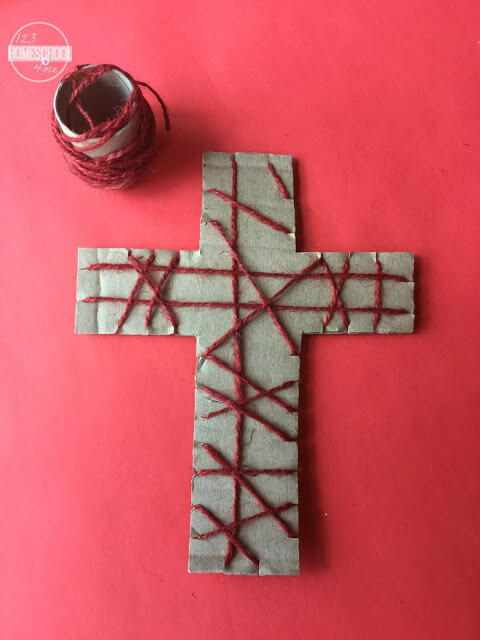 Are you looking for a fun, unique, and easy to make cross craft for Easter? 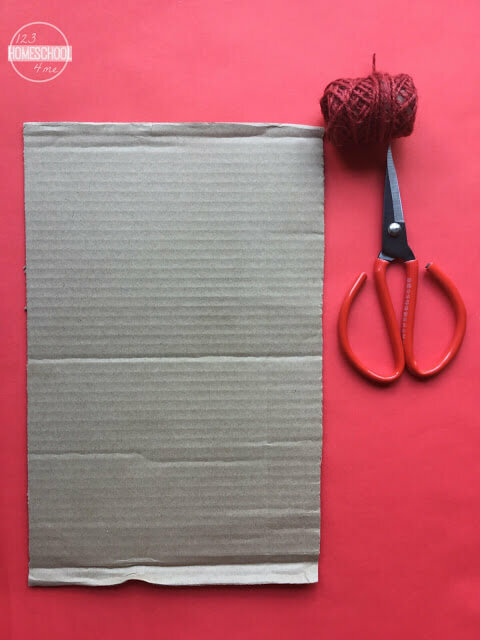 You are going to love this easy-to-make fine motor cross craft that kids of all ages can make! Easter is coming soon – this year is is on March 27, 2016. 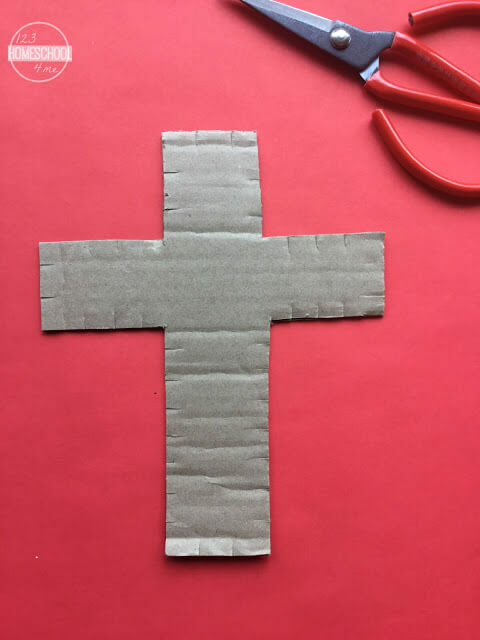 Use this fine motor Easter cross craft activity to teach your kids about the true meaning of Easter and work on those important fine motor skills too! Cut a cross out of the cardboard. The bigger, the better. Cut some slits all around the cross. I made my slits 1cm apart. Go all around the cross, securing the loose ends by pushing it under the string at the back. 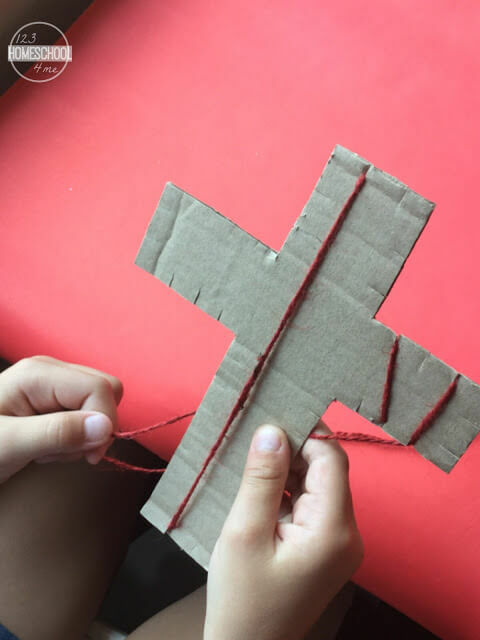 Add another piece of string to hang it up and attach a heart to the middle of the cross. Doesn’t it make a pretty Easter decoration? I love crafts that are fun to make, pretty, teaching (fine motor skills) and focus on what matters Jesus!